Most famous as the co-founder of WIRED magazine and the author of numerous bestselling books on technology, Kevin Kelly spent his 20s travelling in 1970s Asia as a photojournalist. 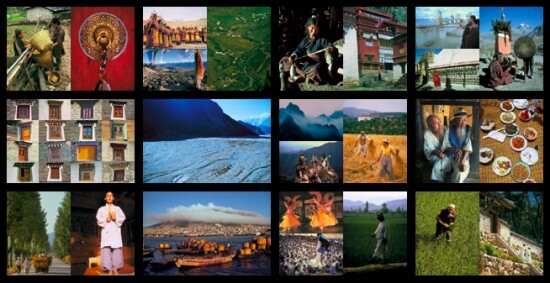 His book and online social project Asia Grace showcases the incredible images of Asia he captured more than 30 years ago. This is his first interview discussing what led him to create Asia Grace. 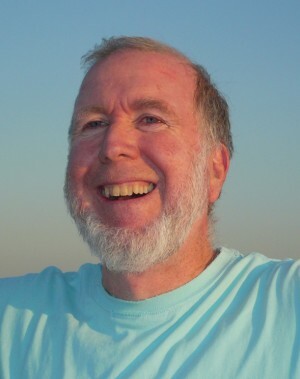 Pay a visit to Kevin Kelly’s elegantly simple website and you’ll find plenty of reasons why he has been one of the most influential voices in talking about technology over the last two decades. As well as co-founding WIRED magazine Kelly has written several bestsellers that helped define how we think about technology and attempt to peer into the future of what might come next – the most recent of which, What Technology Wants, is already gaining critical plaudits similar to his seminal Out Of Control and New Rules For The New Economy. He has also given numerous TED Talks if you want a brief introduction to some of Kelly’s key ideas. 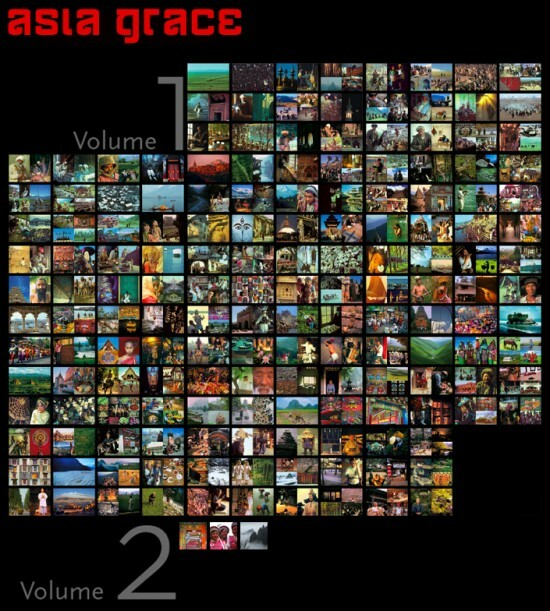 Originally published as a coffee table book by Taschen, Asia Grace is now available in its entireity online for free at AsiaGrace.com – users can leave comments on each image if they have any extra information to contribute. The original book is complemented by Volume 2, which has only been published online. 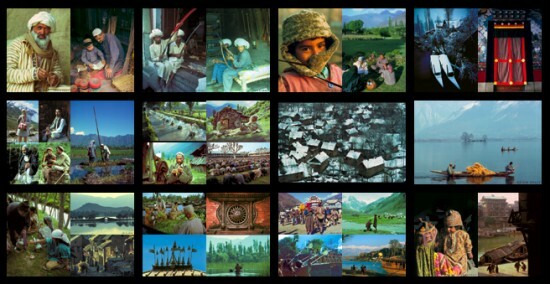 Each of the images featured below in the interview show spreads from Asia Grace – click on them to browse the individual images on the Asia Grace site. 1972- 1979 “Independent photographer in remote parts of Asia. Roamed Japan, Korea, Taiwan, Philippines, Burma, Thailand, Bengladesh, India, Sri Lanka, Nepal, Pakistan, Afghanistan, and Iran.” That’s a fascinating black hole in your biography. Can you briefly outline a bit more of the chronology of where you went during those seven years? Did you go into it not knowing what to expect and develop a plan each time you went back? In general I moved from east to west. I started off in Hong Kong and Taiwan, then went to the Philippines, to Japan and Korea. Returned to the States, to make some money, then went to Thailand, Burma, India, Nepal, Sri Lanka, Bangladesh, Pakistan, Afghanistan. I circled through these countries visiting them more than once as visas expired, and some, like India, I came back to many times. Eventually I made it to Iran, where I worked a while. I then had to leave after the Khomeni revolution. Went to Turkey (via Germany), then through the Mid-East quickly. I graduated from full time travel in Jerusalem. I later returned for shorter visits in Indonesia, China, Laos and Bhutan. Was there something in particular that inspired you to first go to Asia? A person, a book, a thing? One of my father’s friend was a fat Jewish guy from New York City who went to Japan during the War, and fell in love with the country. He returned later to live in Japan and eventually married a Japanese. When he would visit us in the early 1960s he would regale us with amazing stories about the weirdness of life in Japan and it filled me head with visions of otherness. Later after I dropped out of college I spent a year reading books on the coast of Rhode Island and during that time I read Walt Whitman’s Leaves of Grass. For some reason it gave me a real bad does of wanderlust. I just HAD to travel. About the same time my best friend from high school invited me to visit him in Taiwan, where he as a student studying Chinese. I thought, okay, I’ll travel now and hey, I can kill two birds at once – go to Taiwan with my friend as guide, and then go to Japan where I had a friend of a friend of my father’s. Once I got there I met other world travellers who would show up in a foreign country knowing absolutely no one before hand, and that was a revelation. You could travel anywhere!!!!!! Practically, how did you survive? Where did the money come from? Did you manage to sell many of your photos? Was it your initial ambition to work for Time or something similar? I was extremely thrifty. I worked in New Jersey, living in my parents house, riding a bike or hitchhiking to work, saving about 95% of my hourly wages for my travels. I remember travelling on about $2,000 per year (!). That does not count the cost of my film, or the $500 or so for the flight to Asia. I had hoped to work for National Geographic. I even called up one photo editor there and told him where I was going, looking for an assignment, but of course, they did not work that way. I did show them my work when I returned at one point, but while they were encouraging, that is all they were. When I returned from my travels I had to pay for the development of my slides (this was the most expensive part of my travels) and so I would live and work at home while slowly getting them developed out of my mom’s freezer where the rolls where stored after I mailed them home during my travels. My travels never “paid” for themselves in any economic way, but I never really tried very hard to do so. I think of them more like my higher education. And for the amount of time I spent there, and what I learned, it was the cheapest education ever. What did your parents think? How did your relationship develop with them before and during your travels? You write about sending home film to your mum to look after until you got home, so I assume they must have been supportive. They were very supportive, although they never gave me money. They had not traveled out of their states, let alone the country, and so they were excited for me, even if they did not really understand my excitement about it. I think they worried about my safety a lot, but a least I wasn’t hanging around smoking pot. Modern society (in America and Europe at least) seems to tell us in our 20s we need to get a job, get a university education, get some money and get a house to ensure some sort of financial prosperity and success in the future. Do you think it’s still possible (or perhaps wise) to basically drop out and go travelling for all of your twenties? Would you advise your son to do it? I would – and do — advise my son to do the same, if he has a passion. Passion trumps career any day. On the Bad Dreams page on your site you write “I’ve learned late in life that whatever marginal value they have can only be gathered by being shared.” Has sharing Asia Grace online been a success for you? Have you found it valuable? Do you wish you’d started to share things earlier? Are there any specific examples of what you wish you’d started sharing earlier – and that you would encourage others to do? Yes, sharing Asia Grace has been a success, but like anything it is more successful the more energy you share with it. I feel I have not put enough energy into sharing Asia Grace. I need to do more, although I think I did all I could at the time. But now, the power of sharing is enormous, and you almost can’t do too much. Can you think of five ways travelling in Asia palpably changed you by the time you returned to live full time in the US? 1) Food. I had never seen non-white American food before I left. Horizon expanding. 2) Living with almost no technology while remaining content. Empowering. 3) Strangers who owned almost nothing would use their last rupees to feed you. Uplifting. 4) People were basically good; governments — including ours — were basically stupid. Enlightening. 5) Most of everything in the world — people, smarts, ideas, resources — were not in the US. Sobering. It’s difficult to ask you what you felt about each country – that’s another prose book in itself. Perhaps it’s easier to ask do you have an emotional attachment to one particular country or place? Is there somewhere you went back to time and again? Two countries stand out. Nepal and Afghanistan were so un-Westernised and yet so rich in viable traditions when I visited that they were liking stepping into a time machine. Or it was like visiting another planet. Also, there were no detailed guidebooks, so one could wander around and have no idea what was up ahead. You would come into a town with no preconceptions, no map, no list of places to see, and yet almost invariably it would be intensely different, vivid, rich, disturbing, invigorating, refreshing, and magical. There was an alternative intact civilization. I had no idea of how fast they would change. Otherwise I might have never left them. Is there a top 3 or top 5 list of places you’d recommend people should go in Asia that’s remained unchanged over the last 30 years? There are still pockets of otherness in Asia that are easy to get to: Burma, Bhutan, Bali, Laos, Cambodia, and in western China. Cambodia doesn’t appear in your list for obvious reasons [the Khmer Rouge came to power in 1975]. Vietnam was presumably also closed to US tourists so soon after the war. Have you been to either of those countries since? Only Laos which was also closed. You mention your conversion to Christianity in 1979 while in Jerusalem, at the end of your travel period. Did you find yourself investigating and learning about Asian religions and beliefs during your travels – do you think this informed or influenced your subsequent conversion (not in a sense of Christianity being the “best” but in the sense of getting an idea of the divine)? Oh yes. 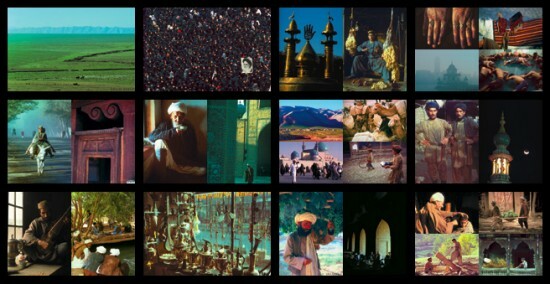 I spent most of my time looking for and hanging around religious events, shrines, and people because that is where the colour, action, and most differences were to be found. And because of my focus I thought a lot about religion and belief. I would even say it became a preoccupation while I was traveling. “You only love what you know” – do you still feel connected to all those countries, e.g take an interest in their current affairs that feels more real and empathetic, because of your travels? 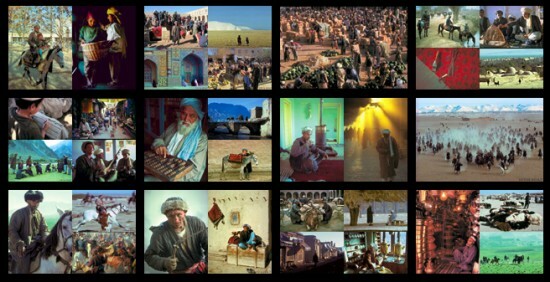 Do you think travel make you multicultural, increase your empathy for other people and the way they see the world? I believe the cure for the arrogance of America as a country would be to mandate that every American spend 24 months abroad in their early 20s. Better would be to have this as a required 2 years of national service: you can pick your program, including the military or peace corps. It would overturn American foreign and national politics. There’s discussion today that travel is actually bad for places – the carbon output of increased air travel for example – and that mass tourism ruins what it sets out to celebrate. Do you think travelling has negatives that are usually left unexplored? No, I think we can offset it. It’s a minor cost compared to the good it does. It is not hard to turn travel into selfishness, narcissism, if one chooses. Not hard to turn it outward into the world’s finest university either. Asia is particularly inventive mainly due to financial necessity – did travelling help spark your interest in technology and the “do it yourself” ethos that you subsequently pursued? Kind of. Mostly it infected me with a serious dose of optimism. Right before my eyes I watched third world countries that could not feed themselves transform themselves into some of the richest countries on the planet. Anything is possible. Are you a frustrated travel writer? 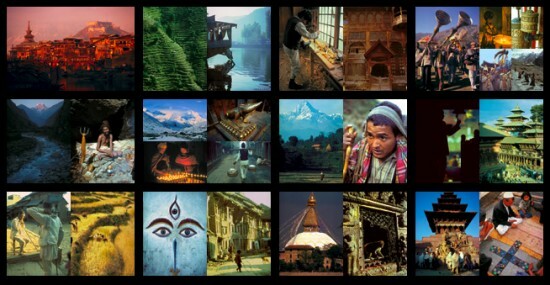 Do you want to write more about travel in future or is photography all you need to say? You talk about spending an entire summer going through the photos to edit them down to a final selection for the book – besides the actual grind of doing this, did you find it strange going back through these huge collection of memories – strange, nostalgic, overwhelming etc? It strikes me it must have been quite powerful being immersed daily in nearly a decade of your life from 20 years previous. Lately I have been digitizing my slides, so I am now going through them all several times again. It does stir up some nostalgia. I realize how lucky I was to see those places at that special moment in history (1970) when a kid with very little money could visit an unaltered world on a series of bus rides. Before then visiting the unaltered alien needed serious expensive expeditions, and after then it was very easy but not so alien. For the most part I have decided not to return to the places I have been to, because I think I will never be able to regain that thrill — and also because there are still so many other places to visit! It’s interesting that on your site’s Interviews page there doesn’t appear to be any interviews about your travels at all. What sort of reception have you had to Asia Grace? Have many people from the tech sphere been interested? Or does it seem out of their frame of reference? You are right. This is my first “interview” about Asia Grace. Part of that is because I have not sought ought more coverage, and have not been active in sharing it wider. One might say I have not tried to professionalize it, and have left it as a pure passion. After eight years of travelling, and then cycling 5000 miles across the US, did you hit a wall of being fed up with travel? Did financial necessity dictate you get a job and start your own business? I think a lot of travellers would be interested to hear how you managed to make the transition from full time traveller to successful writer, publisher and businessman and your advice on doing the same, if only to obviate the fear of somehow “wasting” your 20s. I was on my way to Yemen and Ethiopia (two countries still on my short list) when I suddenly realized, after my conversion to Christianity, that I had learned all the meta lessons I was going to learn for a while. I felt that I had “graduated.” I did not need to got to Yemen and all that came after, although it would be fun. I returned home to help my parents and then rode my bike across the US to visit my siblings. I did not start travelling to Asia again till I went with my children. Travelling with kids and family is a very different mode, but I was learning (and teaching) different things. It was like being a professor rather than student. I was never sick of travelling, although nowadays I find that I only need to travel for two weeks or so at a time to get satiated. The prospect of spending a year or two of continuous travel is not as appealing to me as it once was, although I do fantasize about one last long trip in Asia after all my kids leave home. It would would be a whack on the side of the head and a jolt to the soul. But such strong medicine is not to be trifled with. My thanks again to Kevin for taking the time to answer my questions – I think it’s a fascinating story and Asia Grace an amazing book. I’d love to see the real thing one day. You can see Asia Grace online at AsiaGrace.com and here’s hoping Kevin goes on to publish further volumes.